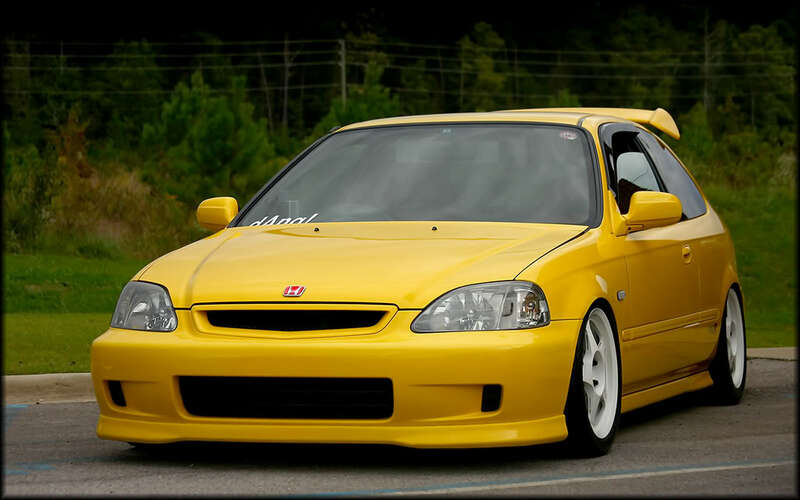 at the moment im just thinking too much for what i do for my car.... i dont want do carbon as i like do black paint , its does suit witht he yellow civic as my opioion......tell me which photoshop section you like.....what you think ? 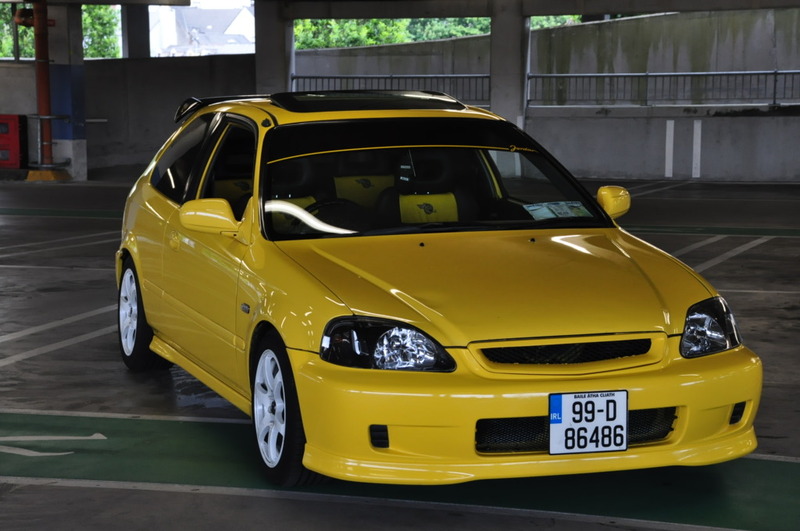 Re: What you think for my jordan civic??? Save up for a carbon bonnet man, don't cut corners spraying the bonnet black it will ruin the clean look you have going!! 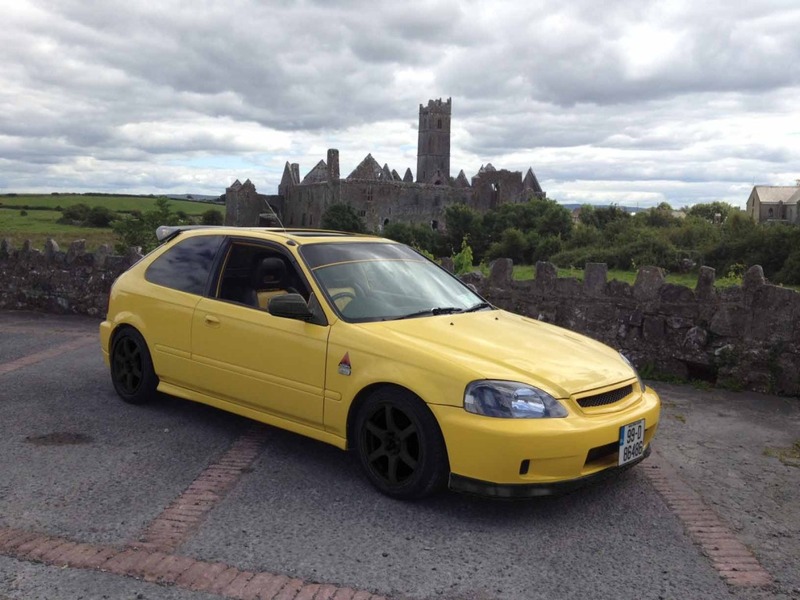 Location : Naaanagh co tipp!! Use the first picture for the photoshop will give u a better idea as first pic is way way better than orther. But id say leave it the way it is looks much cleaner. 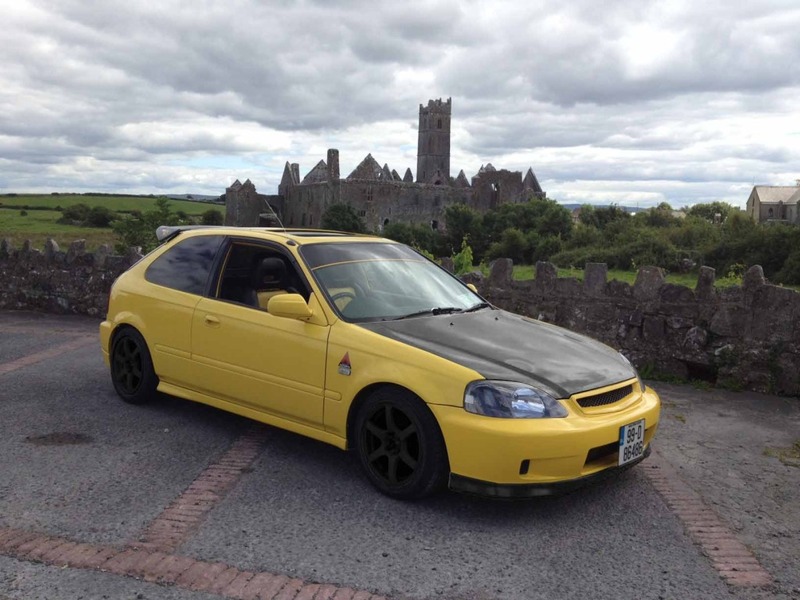 black/carbon and yellow as been done to death now , if it was me keep the yellow car as is , white wheels or maybe gunmetal , not black , lower it and change the interoir , < id do that first . Leave it the way it is or else use proper carbon!! Paint will never match up to carbon in the looks department..
leave it they way it is.and if you still want to change it just save up for the carbon.